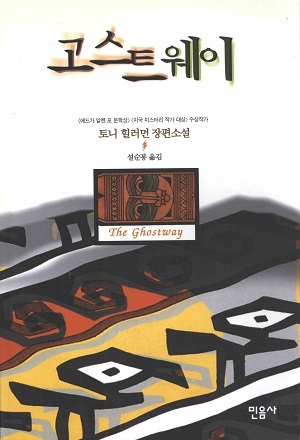 This is the first Korean edition of The Ghostway. This 2000 edition was published by Minumsa in Seoul, South Korea. Tony Hillerman's test was translated from its original English to Korean by Seol Sung Bong. The cover art features a colorful geometric pattern which resembles a Navajo Blanket. Format: Paperback, 22.2 x 15.2 cm. Binding: Full-colored paper covers with the title, author, and publisher printed on the spine.